QMotions battery powered motorised roller blinds where featured on Channel 5’s The Gadget Show. Click here to see the video, QMotion are featured at 4:15 into the program. 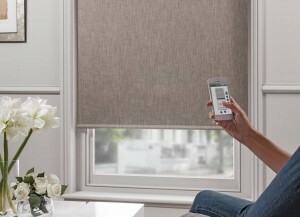 Qmotion blinds run on standard batteries, last up to 5 years, and can be controlled by Android and iOS devices. Blinds, Motorised electric blinds, QMotion, Roller blinds android blinds, battery powered blinds, battery powered roller blind, blinds, Gadget Show, hove, iOS blinds, motorised blinds, Qmotion. permalink.